While the debate on healthcare rages, community health centers have been providing a simple, efficient solution to some of the nation’s biggest problems. Simply put, these health centers provide care for those who need it. National Health Center Week, which is August 10-16 this year, is a chance for people to show their appreciation of health centers across the country. While health centers are not government entities, they do receive government funding. Health centers, also called Federally Qualified Health Centers (FQHCs), are non-profit entities, either public or private. They serve designated underserved populations, as well as specific populations such as the homeless or migrant and seasonal farm workers. Health centers are funded by the Health Resources and Service Administration (HSRA). However, to be awarded this funding, health centers must follow the HSRA’s 19 program requirements. The majority of the HSRA’s requirements deal with making sure that health centers are well-managed, properly-located, and fully-equipped to provide the best care to their communities. Additionally, one of the HSRA’s requirements is that each health center is governed by a board of between nine and 25 people. At least 51% of this board must be comprised of people who are currently served by the health center, so that the board overseeing each health center directly reflects the population that it serves. According to HealthyPeople.gov, the three biggest barriers to accessing health care are lack of availability, high cost, and lack of insurance. Health centers can remove each of these barriers, making it possible for more people to access regular health care. Health centers are located in areas that have been identified by the government as high-need. This identification is based on an elevated level of poverty and a higher-than-average rate of infant mortality, as well as too few practicing physicians. Currently, there are more than 1,200 health centers and 9,000 service delivery sites nationwide, with locations in every U.S. state and territory. 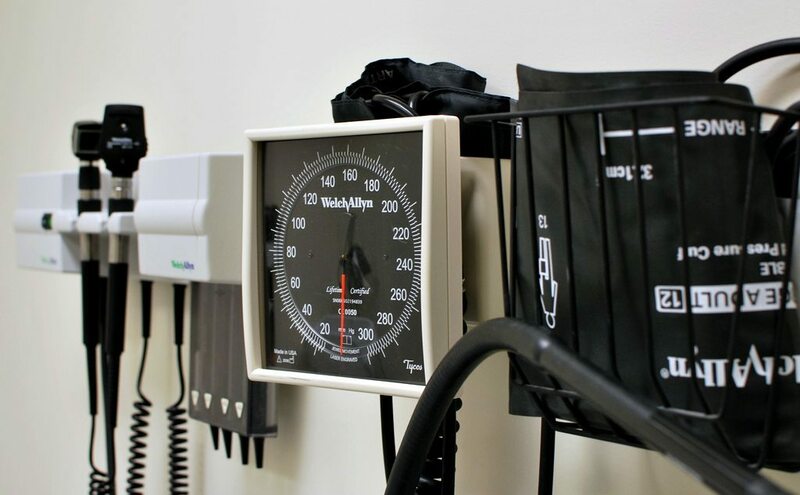 Many of the people served by health centers are uninsured or publically insured, but health centers provide care regardless of insurance status. Care is often free or at a reduced cost, based on the patients’ ability to pay. Services such as transportation, home visits, health education, and translation are also provided. Almost all health center patients have reported that their clinicians speak the same language as they do, even when that language isn’t English. Services at community health centers are specifically tailored for each community, linguistically and culturally. Perhaps as a result of this, health care disparity is virtually non-existent. In other words, all patients are treated the same, regardless of race, ethnicity, or other factors. Health centers can also provide comprehensive care for chronic conditions. Several chronic conditions, such as diabetes, heart disease, or cancer, should be closely monitored and carefully treated by a medical professional. Without this care, the condition can easily worsen, enough so that the individual must go to an emergency department or be admitted to a hospital. Health centers provide access to care for chronic conditions for those who might otherwise be unable to get regular treatment. With so many locations throughout the United States, it’s likely that almost anyone will be able to find one relatively close by. In Colorado, for example, the National Association of Community Health Centers database lists 150 different health center locations. Community health centers have far-reaching benefits. Even for those who never set foot in a community health center, there are benefits. One of the biggest benefits is economic. It’s estimated that $18 billion per year is spent on visits to hospital emergency rooms that could have been prevented by a health center. This is because health centers allow problems to be treated before they become serious enough to necessitate a hospital stay or trip to the emergency department. This, in turn, lessens the burden on public health care systems and insurance. In addition to saving on health care costs, these centers can positively impact local economies. In 2009, health centers generated $20 billion in local economic activity and created more than 189,000 jobs. National Health Center Week is an opportunity to recognize and celebrate the positive impact of health centers on their communities. The theme for National Health Center Week 2014 is “America’s Health Centers—Local Engines for Healthier Communities.” This theme brings to the forefront all that health centers do to support local economies. It celebrates the thousands of jobs created by health centers and the millions of people served by health centers. In the past, more than 1,400 National Health Center Week events have occurred per year at health centers across the country. The National Health Center Week site provides a directory of all the events occurring this year. These events often include free food, games, and prizes. Have you ever visited a health center in your community?